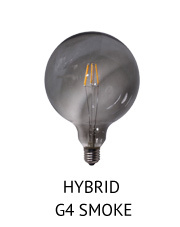 At Aamsco, we're constantly working to find new lighting solutions, and we're proud to introduce you to our latest in the LED world: the all-glass hybrid LED light bulbs. 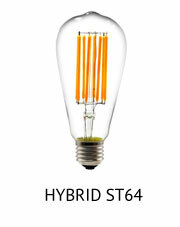 This bulb replicates the appearance of an incandescent bulb. It instantly turns on, so you can enjoy fast lighting, and it contains no UV or mercury content. With hybrid LED light bulbs, you’ll discover an omni-directional light pattern that gives you 360 degrees of luminescence. 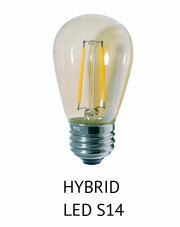 These hybrid LED light bulbs also have a CRI of >80 and a warm color temperature of 2700K. 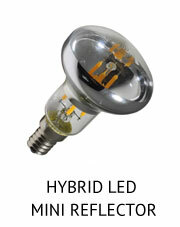 They are also available with a CRI of >90 and 2200K. 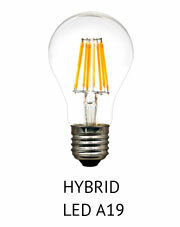 Our Hybrid LEDS are ETL certified. 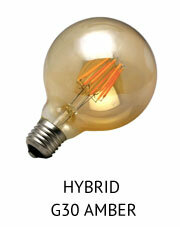 These hybrid LED filament bulbs can achieve maximum heat dissipation without a visible heat sink. This is due to the COB (Chips On Board) technology mounted onto a sapphire substrate. They also boast >80lm/W and 20,000 hours life. 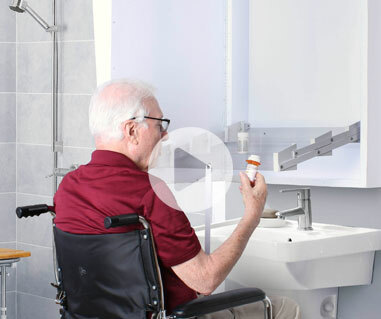 When compared to other LED light bulbs, these feature directly mounted LED chips that give you better color mixing, low thermal resistance, and a better lighting effect. 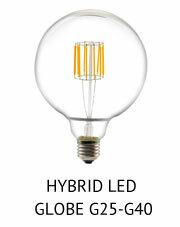 These hybrid LED light bulbs are available in a variety of glass shapes including a globe, ball, torpedo, mini reflector, and more, so you can use them anywhere you use a regular incandescent bulb. 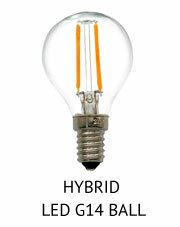 These LED light bulbs feature technology that lets them last more than 10 times longer than incandescent bulbs. They also stay cool to the touch. 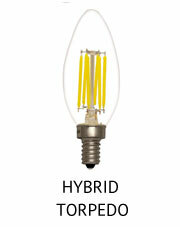 Our hybrid LED bulbs are dimmable and give off just the right amount of light and at the right temperature. This filament LED is not recommended for enclosed fixtures or outdoor use. 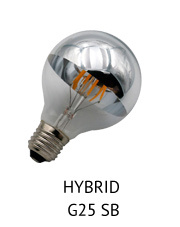 These hybrid LED light bulbs are available in a variety of glass shapes including a globe, ball, torpedo, mini reflector, and more, so you can use them anywhere you use a regular incandescent bulb. 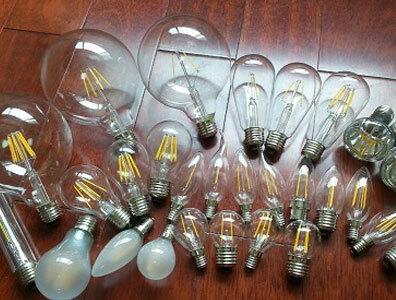 These light bulbs last more than 10 times longer than incandescent light bulbs. In addition, they stay cool to the touch. 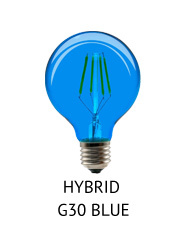 Our hybrid LED bulbs are dimmable and give off just the right amount of light and at the right temperature, so whether you’re in the medical, industrial, graphic arts, or any other industry, you’ll find that these bulbs can get the job done.